A basic understanding of Vue.js, Node.js and PWA is needed to follow this tutorial. PWAs (Progressive Web Applications) has already been identified as the future of web applications and the reason is quite obvious. PWAs let you build web apps that are capable of delivering native app-like experiences to users. From sending push notifications, to caching data for offline retrieval, to background sync, Progressive web apps have got you completely covered. PWAs can also ensure that users are engaged and up to date with dynamic data even with very poor network connections. 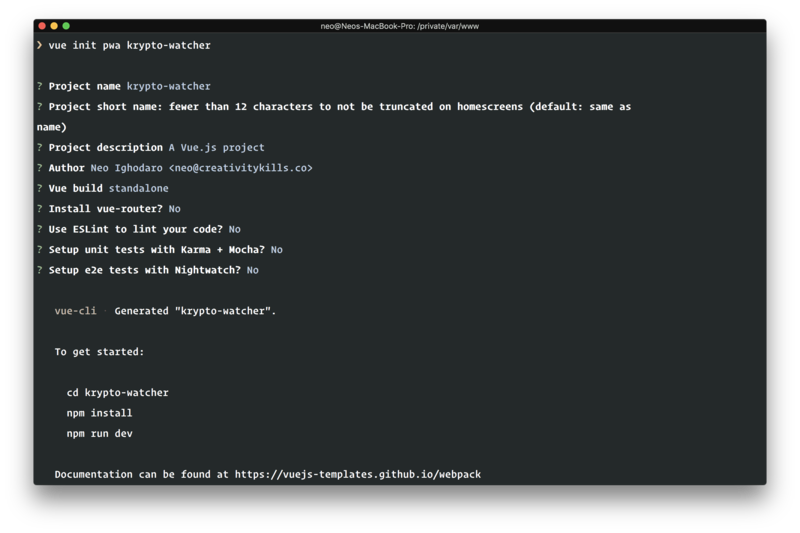 In this article, we will be building a cryptocurrency application called “KryptoWatcher”. Its function is to display the price updates of three cryptocurrencies (Bitcoin, Ethereum, and Litecoin) in realtime. The price updates will be obtained from the Cryptocompare API. The best part of it all is that, after this app runs once, it can run again and display coin data even without an internet connection. This is possible because we’ll build KryptoWatcher to cache the coin data on the first run. Let’s start putting the pieces together. Vue CLI installed on your machine. Node and NPM installed on your machine. Knowledge of Node.js and Express framework. Once you have requirements we can move on to setting up our application. Create a Pusher account, if you have not already, and then set up your application as seen in the screenshot below. When you have completed the set up, take note of your Pusher application keys as we will need them later on. You can think of the Vue CLI tool as a lightweight tool for scaffolding Vue.js projects. To start building our application we will use the Vue CLI tool to pull in the Vue PWA template that we will be working with. You’ll be presented with prompts and a few ‘Yes’ or ‘No’ questions. You can answer most as you see fit, however, for the “Y” or “N” prompts, since we do not require the additional functionalities and features, let’s respond with “N” to all the queries. The template gives us awesome PWA features out of the box. One such feature is the service worker. 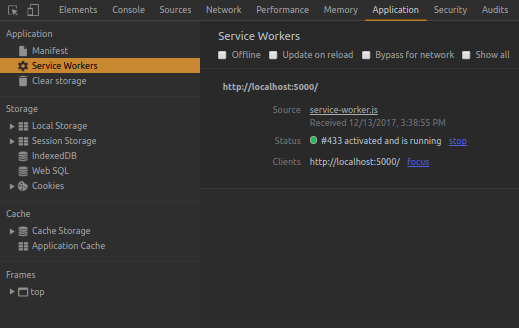 The service worker allows our application to work offline. 💡 A service worker is a script that your browser runs in the background, separate from a web page, opening the door to features that don't need a web page or user interaction. What this does is generate a new service worker when the application is built (with the npm run build command). The service worker will cache all the files that match the glob expression, for offline access, in staticFileGlobs which currently points to a non-existent dist folder. The dist directory will be created when we build our application. Let’s start building out our application component by component. The Intro component which will hold the introductory markup and styles for the application. 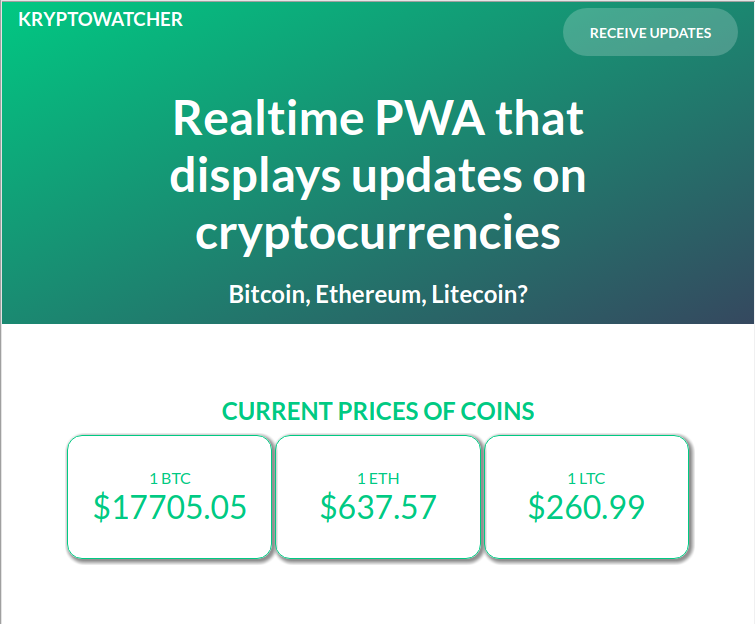 The Current component which will display coin prices in realtime. The Previous component which will display coins prices from ‘x days ago’. Let us start creating the components. We will be doing them manually however you can always use an NPM package like this to make it easier to create components. Create a src/components directory and create the following files in the directory: Intro.vue, Current.vue, and Previous.vue. This component has no special functionalities as it just holds the intro markup and styles that will make the app presentable. The HTML goes between the template tags and the styles go in the styles tag. That is all for the intro component. The script above specifies the props the Current component should expect. It will be getting it, currentCurrency, from the parent component App.vue. That’s all for the Current component. This component should display the prices of coins in the past, five days at most. We’ll also display the dates of each of the days. That’s pretty much all the business we have with the three components, they are pretty straightforward. Most of the complexity and app logic are buried in the root component, App.vue. Let’s explore that next. The root component is included by default in every fresh Vue installation in the src/App.vue file, so we don’t need to create it. Unlike the other components we created earlier, the root component holds the logic and is more complex than them. We’ll keep the template tag of the root component simple. We include the earlier components, Intro.vue, Current.vue, and Previous.vue, as custom tags and pass in the appropriate props. The script above does not do much but it sets the stage for our logic. We have set all the defaults for the data we will be using in the application and we have defined the created method that is called automatically during Vue’s component lifecycle. We also imported the components we will be using in the application. We need to populate the method object with actual methods. We’ll start by defining the methods that will retrieve coin prices for previous days. Since we are getting data from a remote API, we need an HTTP client to pull in the data for us. In this article, we’ll be using the promise based HTTP client axios to make our HTTP requests. We also need moment to easily work with dates. 💡 vue-axios and vue-momentjs are Vue wrappers around the Axios and Moment.js packages. The method above is a helper method for fetching the coin exchange rate within a specified period and saving the response in localStorage and the this.previousCurrency object. We will use this later in the code. The method above simply fetches the coin data for the current date and saves the response to localStorage and the this.currentCurrency object. In the code above, we have defined the code to fetch the current currency from localStorage if the client is offline. If the client is online though, it fetches the data from the API. Everything should be working now except the realtime functionality. Now that we have a functional application, we would like to add some realtime functionality so we see updates as they happen. We will be using Pusher to provide this functionality, if you haven’t, create your Pusher application from the Pusher dashboard as you will need the: app_id, key, secret and cluster. We need a backend server to trigger events to Pusher, we will be using Node.js to build the backend for this article. To get started, create a new file in the root directory of our application and call it server.js. In this server.js file, we’ll be using Express as the web framework so we need to pull that in. We’ll also pull in axios, Pusher and body-parser since we’d be making references to them in our code. 💡 You need to replace PUSHER_APP_ID, PUSHER_APP_KEY, PUSHER_APP_SECRET, and PUSHER_APP_CLUSTER with the details from your Pusher application dashboard. In the Express app above, we import our dependencies and then instantiate Pusher. We then register some middleware including the CORS middleware so we don’t get cross origin request errors. Next, we have a “Simulated Cron” that runs after 5 seconds. The job is to fetch the updates from the server and send the updates to Pusher. Our Vue application can then subscribe to the Pusher channel, pull the changes and display them. This will start a Node server and the simulated cron will start running and sending events to Pusher. To access our API server from the Vue application, we can create a proxy in config/index.js and run the dev server and the API backend side-by-side. All requests to /api in our frontend code will be proxied to the backend server. In the proxyTable we attempt to proxy requests from /api to localhost:8000. In the code above, we subscribe to receive updates on the price-updates channel. Then we bind to the coin-updates event on the channel. When the event is triggered, we get the data and update the currentCurrency. This should start and open the Vue PWA on your browser. To make sure you receive updates, make sure your Node server is running. This command creates a dist folder in our working directory and also registers a new service worker. Let’s serve this dist directory and take a peek at the generated service worker in a Chrome web browser. If we navigate to this address http://localhost:5000 on our web browser, we’d see our application as it was the last time, no obvious changes except for the fact that the app is now a PWA. Our app registered a service worker that caches the app shell on the first run, thanks to the Vue PWA template. 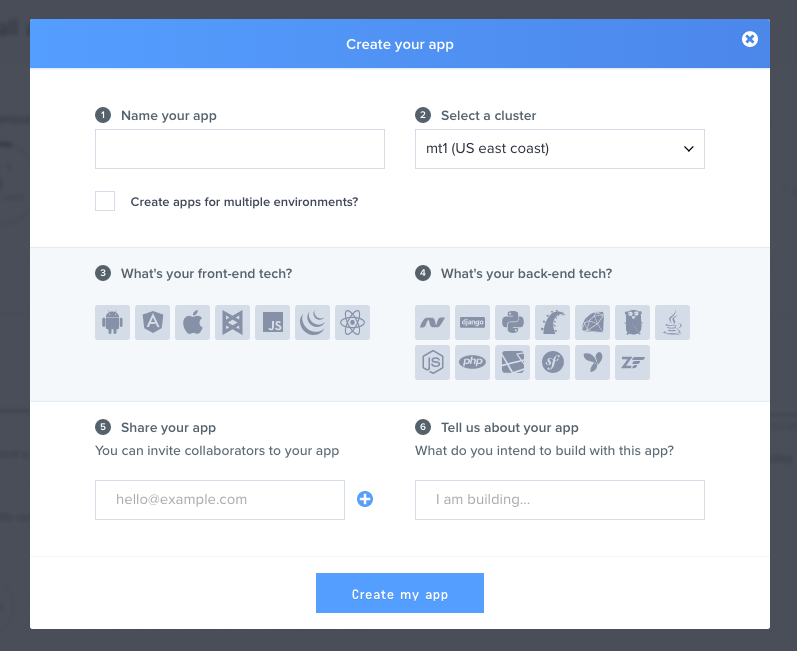 💡 An application shell (or app shell) refers to the local resources that your web app needs to load the skeleton of your user interface (UI). Think of your app's shell like the bundle of code you would publish to a native app store when building a native app. In this tutorial, we have seen how to write a simple realtime PWA with Vue.js, Pusher and Service Workers. We also saw how to cache dynamic values from a remote API using the Web Storage API’s storage object. There is a lot more you can do with PWAs and Vue, but this is a good introduction so far.